Brooklyn’s Honey are a new-ish band (with ex-members of Psychic Ills, Amen Dunes and Stupid Party) that have been playing around their hometown a good deal lately. You may have caught them recently with Destruction Unit, Crystal Stilts or The Men. They take the swirling riffs and wah-pedal freakouts of late ’60s psychedelic rock, and inject it with garage punk energy that has made their shows something you can zone out to but also something you can bang your head to. They recently mentioned on their website that a debut album is on the way, and you can get a taste of that now from the single “Born.” Listen below. 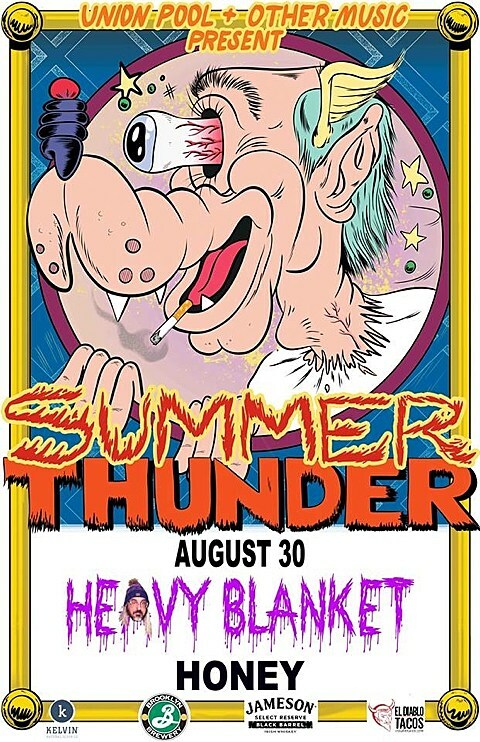 Honey’s next show is opening the final free Summer Thunder show of the summer in Union Pool‘s backyard this Saturday (8/30) afternoon (2 PM start). 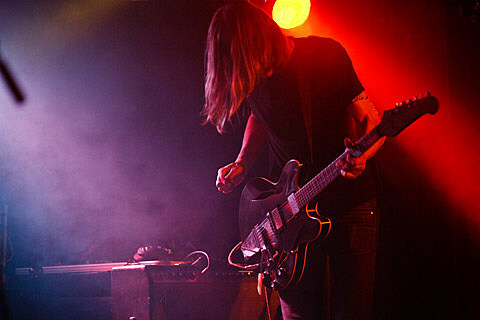 It’s headlined by J Mascis‘ psychedelic blues jam group Heavy Blanket, which should be a great fit. Hopefully this goes better than last year’s Heavy Blanket show at Summer Thunder.